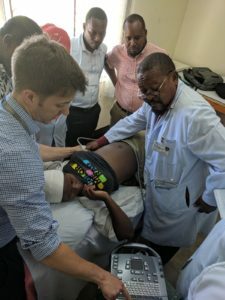 We are ecstatic to announce our very successful POCUS Global initiative, which occurred in June 2018! 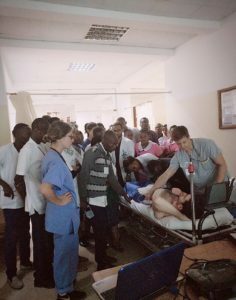 We are most grateful to all of our Tanzanian emergency medicine practitioners on the ground for welcoming us and educating us on the elements of training programs that are most useful. 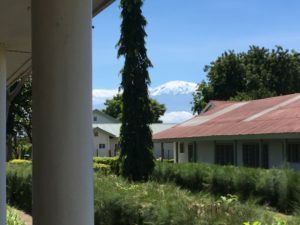 We started at Tanganyika Plantation Company (TPC) Hospital and then trained at Kilimanjaro Christian Medical Centre (KCMC) Hospital in Moshi, Tanzania. We taught introductory ultrasound courses for both hospitals to detect pathology such as abdominal free fluid in trauma and pericardial effusions. 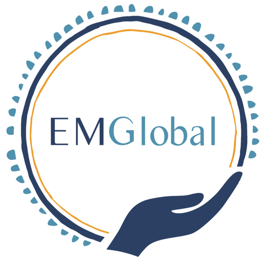 Wherever we go, whatever training we provide, EM Global is committed to hands-on, skills-based trainings that equip local health care providers with capacities that will help them to improve the quality of care in their local context. We are about investing in people. 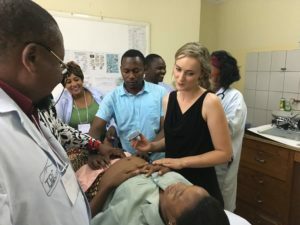 If we want to make a difference, we believe increasing access to training opportunities for local health care providers – those who serve the patients of Tanzania on a daily basis – is the way to go. We had 15 course participants at KCMC, a busy regional hospital which serves as the most capable emergency department in the entire region. There were 12 participants at TPC hospital, a site that is in the beginnings of launching their emergency department. At TPC there is no CT scanner and at KCMC the CT scanner did not work for an entire year from 2017-2018. 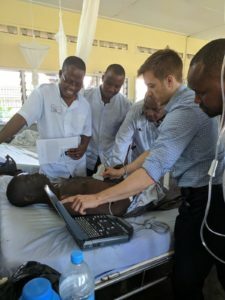 Moreover, it costs a patient 250,000 Tanzanian Shillings (the equivalent of approximately $125 Canadian) to obtain a CT, a cost most simply cannot afford. Portable ultrasound is even more practice-changing in these settings than in our part of the world. On one day during our training at TPC, two busses collided with 80 passengers involved. 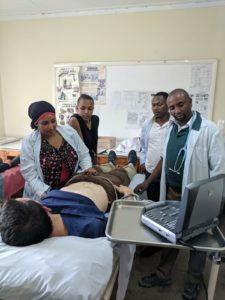 Our course participants were able to put their new skill set to work immediately to diagnose and rule out internal injuries that would not have been possible to visualize in a timely manner without portable ultrasound. 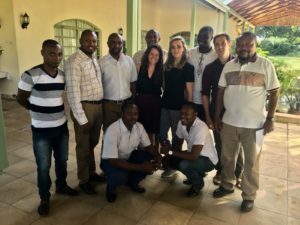 At each site we identified “physician catalysts” who are local Tanzanian doctors committed to assisting with skills retention throughout the year. Dr Sakita at KCMC is pictured below facilitating a small break out group and Dr Edward from TPC is pictured teaching at TPC. Thank you to all of our wonderful donors for making all of this possible! 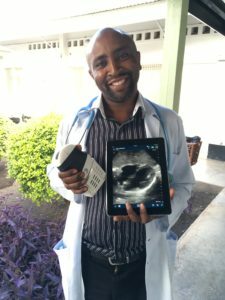 A huge thank you to the incredible and global-minded Sonosite and Clarius companies for their generous donation of portable ultrasound devices. 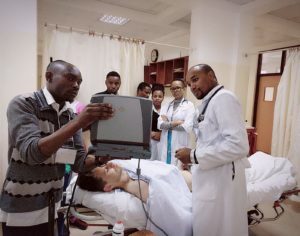 This allowed us to teach “hands on” and ensure both hospitals had a portable ultrasound machine for use for the long-term. To these companies and all of our individual donors, we couldn’t have done it without your help and it means so much to us that you support the hard work we are doing to help the patients in Tanzania and assist our very knowledgeable Tanzanian emergency physician colleagues. We aspire to return to Tanzania in the summer of 2019 to provide further training so any donations we receive would be immensely helpful. Every penny helps us pay for equipment like ultrasound gel and the machines to bring with us. Your donation goes toward investing in the capacity development of local health care providers. This is a sustainable and meaningful way to make change.